In the beginning of 2015, I had set a humble goal before myself, as far as travel is concerned – visit two European countries. Our wonderful daughter Maya was born in February and that meant we wouldn’t be doing much travelling in the first half of year. But we made up a bit in the latter half – not only did we go to the sea and my hometown, but in November, we actually managed to meet the goal I had initially set – we set off for Malta for 5 days, spending a night in Greece beforehand, since our connecting flight was from Athens. Those six days were among the best of an already very good year. Malta is a wonderful place, and, truth be told, despite its deceivingly small size, 5 days aren’t even enough to see all the great things it has to offer! 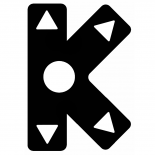 I recommend spending at least a week there. But 5 days were what we had, and I’ll tell you about them in the following article. All pictures within were taken by me and my wife. 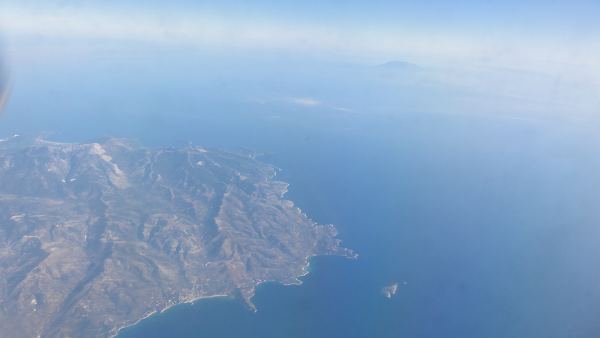 We went to Athens on an Aegean Airlines flight, operated by Olympic Airlines, and it was actually with a small, propeller-engine aircraft – surprising, but not that much, as the distance between Sofia and Athens really isn’t all that big. Little Maya had already flown on an airplane, and the flight was no big deal for her. She slept most of the time, while we enjoyed the beautiful sight of the Aegean sea outside. An hour and a half later, we were already in the Greek capital, only to find out that we had somehow nailed exactly the day of the big national strike, apparently scheduled for November 12th… Public transportation would be hindered in result. Metro wasn’t running at all, but the bus we were to catch to the central Syntagma square, near which our hotel (Tempi) was located, was actually running. We got on, glad that disaster had been averted, but… Some 4 kilometres before the hotel, the bus just turned around and dropped us off, citing the strike as the reason. I had my GPS, but it was too far to walk to the hotel with the baby and luggage… So we asked around and it became clear that we’d have to catch a taxi. 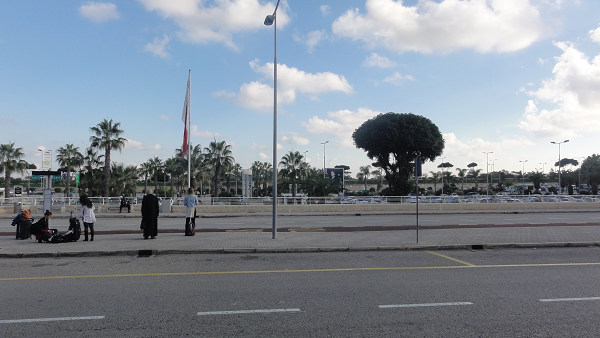 We waited at a bus station, but in such a golden day for taxis, there were almost none available! Meanwhile, a relatively cute Asian girl approached us – she’d apparently been on the bus with us beforehand, and asked us how we planned to get to the centre. Eventually, we decided to take a taxi together and split the costs. 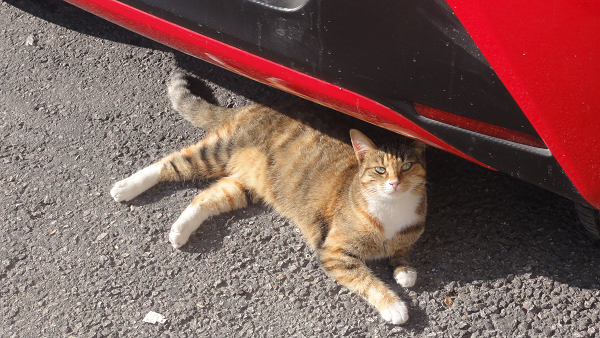 I chatted with her a bit and it turned out she was from Singapore – having taken a much longer trip than ours. Her English was pretty good, I actually thought she was American or something at first. Anyway, we finally managed to stop a cab and got on together. Despite being told by locals that it would cost 5-6 Euros to the centre, the driver asked for 15 Euro… Lucky him that we had somebody to split the costs with, otherwise I would’ve argued about the price. Having reached our destination, we parted ways with the Singaporean girl, and entered the hotel. We were determined to have a relatively low-budget vacation – after all, it’s the experience that counts, not the kind of hotel you sleep in or the restaurants you visit. Tempi hotel was one of the cheapest options on booking.com with a decent location near the centre. It was a relatively clean place (the beds and other furniture were relatively old, though), offering a common kitchen for guests on each floor. We didn’t have time to cook, but I used it in the evening to talk to my parents while my wife was putting our child to sleep. Right out the hotel was a small restaurant where we would have dinner later. 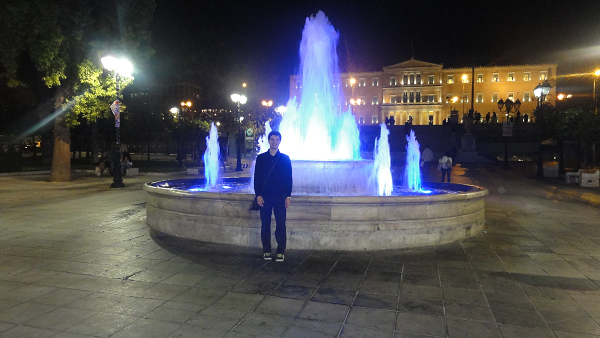 Having left our luggage in the room, we immediately went out to do as much sightseeing as we could… I can’t say we managed to see much in the few hours we had – the main Syntagma square, and the nice area around the Acropolis with many tiny roads and plenty of houses. Sadly, we couldn’t see the Acropolis itself – having happened upon the day of the strike, it was closed, too. But the picturesque rows of houses on the way there were quite the view themselves. On the way back, we did see several old Greek architectural artefacts – they are not hard at all to come by in Athens, even if you can’t reach the Acropolis. We bought some halva and other sweets, then stopped at a wooden toy shop and picked up a nice spinning top for Maya. As I researched the location of the stop where we’d have to take the bus to the airport early next morning, I happened across an interesting person who started talking to me in Greek, mistaking me for one of the locals. Eventually, we switched to English, and we had a relatively interesting social/political conversation. Not very surprisingly, at the end it turned out he was some guy from a religious sect. 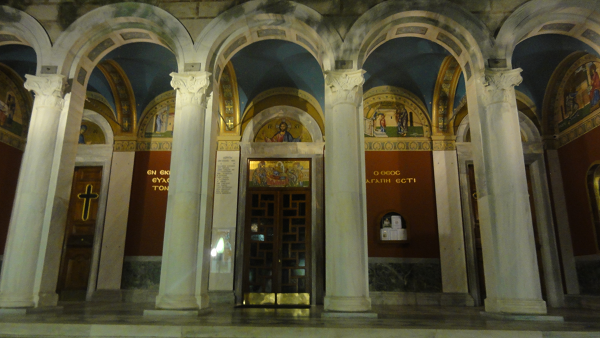 Having naively believed he might be with the Orthodox church at first, and not willing to convert to whatever “faith” he would be following, I went back to my wife and daughter and we headed back to the hotel. The next morning we actually caught a taxi to the airport – my wife was worried we’d be late with the bus, plus she was told the strike was 24 hours, meaning it’d end shortly after our bus. I was opposed to spending so much money (32 Euro or so) for taxi, but I never had a chance to win this argument. On the way there, I chatted with the driver about the political situation in Greece. We reached an agreement that the debt model would have to be eliminated altogether if anything good – for both Greece and Europe – was to come out of it. We both shared a strong liking for Yanis Varoufakis, the ex-Valve employee and ex-Greek finance minister who just refused to give in to the demands for financial ruination of his homeland. Before our flight, I picked up a fascinating free Athens Airport magazine. No time to read it during the vacation, but I did when we got back home, and was overwhelmed with how good it was. Perfect advertising of Athens and Greece as a whole, plus so much more useful information for travellers in Europe… They even have mobile app integration. Why can’t we have something like this in Bulgaria? I wish I could do something about this – we also have a lot to show to the world. Anyway, we flew to Malta with Air Malta, this time on a normal, jet engine-powered airplane. It’s a shame the sandwiches we got had unpleasant chemical components, however, so we skipped them. 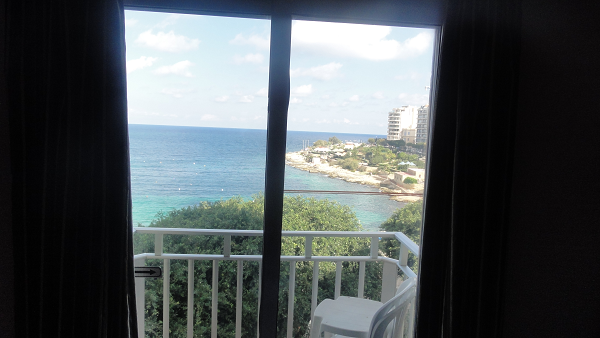 After about an hour on the bus from the airport, we reached our hotel – Carlton Hotel, in the town of Sliema. It’s a nice, clean, and cheap place, with very helpful staff. There’s an option to have breakfast for 7 Euros per person, which we didn’t take advantage of, and you can also enjoy a pool on the roof – a rather pointless endeavour I thought, seeing as the bay was right across the street! After taking a short nap (we’d woken up at 4:30 AM or so), we put Maya in her sling, and set off to explore Sliema. We went to a what was supposed to be a fort at the edge of the bay, but apparently it was mostly buildings, and the fort part, much smaller than we thought, was closed. We also booked a boat tour for the day after the next, with a company called Luzzu Cruises… We’d get to see the smaller of the two islands, called Gozo, and the famous Blue Lagoon in Comino. We’d originally thought we’d plan such a trip (to Gozo, at least) ourselves, but maybe outsourcing it to a boat tour company wasn’t a bad idea – we’d be able to focus on the rest of the things to see. Circling around, we sat at a café on the way back to the hotel, having a cappuccino with some cake. The prices in Malta are about the same as in Western Europe. 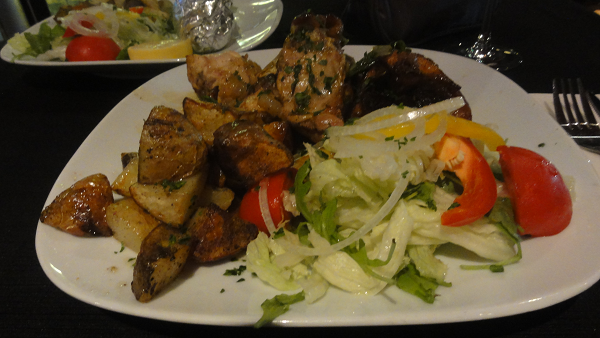 Afterwards, we got some food and beer at a small grocery store, and had dinner at our hotel room. This was my chance to taste the most famous Maltese beer, called Cisk, for the first time… It’s good, though nothing special – rather standard lager beer. One would think the harder water in Malta (tap water is not very good for drinking – we had to drink bottled water) would result in a somewhat different taste of the beer, but they probably filter the water beforehand. 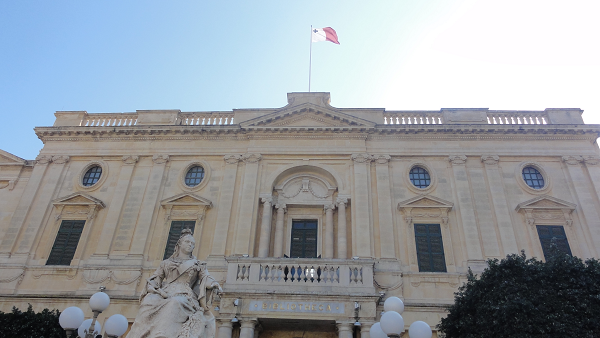 The next morning, we hopped on a bus headed towards the capital, Valletta. Bus tickets cost just 1.50 Euros per person, and are valid for two hours – meaning you can catch a connecting bus if the first one does not reach your destination. 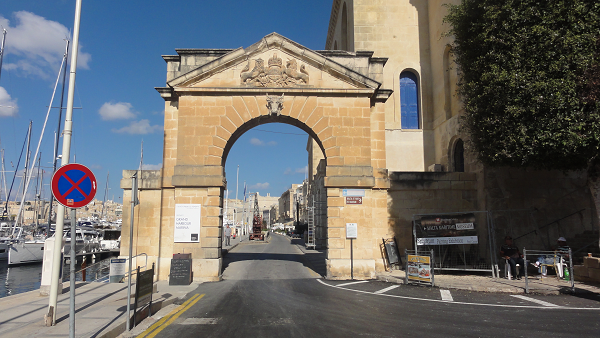 We didn’t need to do that for this trip – Valletta is in a fairly central location on the east side of the island, and there are two buses connecting Sliema with it. Right at the entrance of Valletta is the big bus terminal, where you can catch buses headed to any part of the main island. 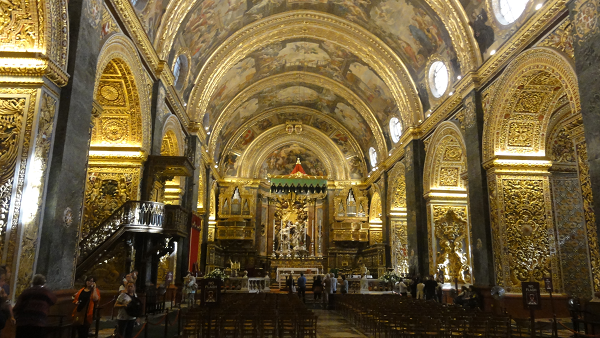 The first place we entered was, of course, St. John’s Co-Cathedral, the most famous tourist attraction in Malta. The entry fee of 6 Euros per person was well worth it. The Co-Cathedral is a magnificent place, built during the times the Catholic knights of the Order of St. John ruled the island. 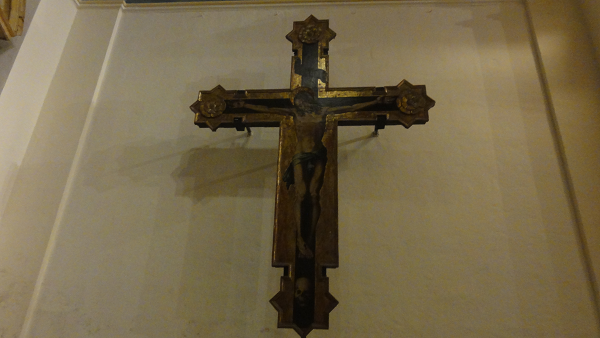 There’s a lot of history and art all in one place – in fact, in the church part, there are separate “rooms” where each of the branches of the order (Spanish, Italian, English, etc.) tried to show off and prove they were best by making their section the most impressive. 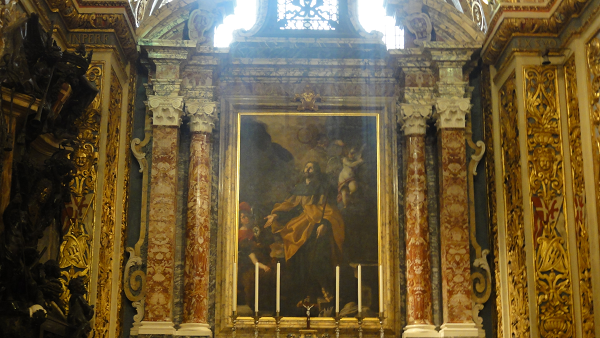 There is also a section dedicated to Caravaggio, the incredible Italian artist who became famous not only for his paintings, but also for his rebellious temper. The biggest masterpiece on display is, of course, his work depicting the beheading of St. John – the only painting he ever signed, in a rather unique way, too – via the blood trickling from the victim. There are also others “museum” parts to the cathedral, where one can see plenty of art works and historical artefacts keeping the memory of the knights’ glory days alive. A little personal story was also born in the Co-Cathedral – with the crowd so big, me and my wife became separated, and couldn’t find one another until we were already out of the cathedral. 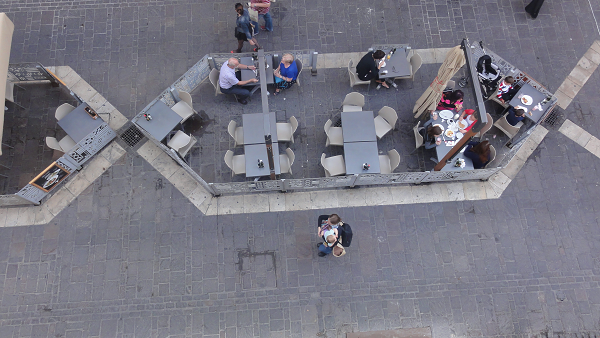 She apparently went out earlier and, while she was being worried that she didn’t have enough money for a return ticket to the hotel, in case we failed to meet again while in Valletta, I accidentally saw her while browsing the city from above on a terrace, and snapped a few photos. Successfully reunited, we headed further down in town, only to come across a “Free Malta Tour” which had several tourists attached already. They were in the middle of their tour, but we still joined in, managing to learn some interesting new things about Malta, not least why St. John’s Co-Cathedral is a Co-Cathedral – because the main Malta cathedral is actually in the old capital of Mdina (L-Imdina in Maltese), in the middle of the island. We made a mental note to try to see it by the end of our stay… Sadly, time proved not to be enough. Next, we went to a place we found on our map (the magnificent MapsWithMe/MAPS.ME Android app that helped us so much on our Japan trip, to be precise), the so-called Toy Museum… Since we have a child now, the attraction of such a place intensified. 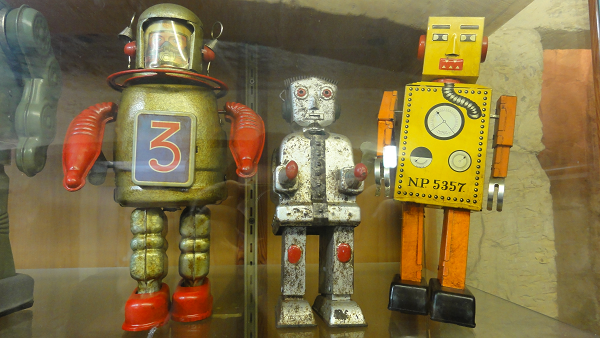 It was actually a rather small 3-story place with lots of toys, mostly from the post-WW2 period (50s, 60s, 70s). There were lots of interesting toys, but sadly we had expected much more toys from earlier periods, like the early 20th century, or even the 19th! 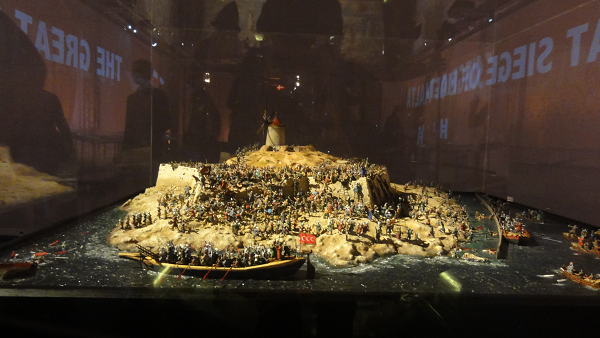 There were only a handful, but the museum was still well worth visiting (fee was also cheap – 3 Euros or so). You could buy some of the toys, too. Although it was kinda sad how cheap some of them were, despite having almost become artefacts of a lost era now. Afterwards, I went to the Palace Armoury that my best man had highly recommended (he and his wife had come to Malta last year and we asked him for some tips). It’s an awesome place with all kinds of medieval weaponry and armour – a real treat if you have an interest in warfare at that time. I spent an hour there, but it could have easily been twice that, if I had truly indulged my curiosity about the weapons. The Palace itself wasn’t nearly as interesting, but there was a very cool exposition about the Turkish siege of Malta in the 16th century, when the knights, helped by the local residents, overcame almost impossible odds and actually managed to defeat the massive fleet of the invading Ottomans who had planned to turn Malta into an Islamic base of their Mediterranean operations. Before heading back to Sliema, we had a short rest in the small, but beautiful park called Lower Barrakka Gardens. The weather was really nice, and I just couldn’t miss the chance – we got to the hotel, we changed into our beachwear, and headed outside towards the bay for some swimming! It was already afternoon and little time remained until the sun hid behind the buildings opposite to the part of the bay where we were… So I had to be fast. Only I swam, my wife didn’t muster up the courage for some reason, but the water really wasn’t much colder than the air at all! Maybe like 18 degrees vs. the air’s 20. It took a little getting used to, but it was fine for swimming! I even dove a few times, and also appreciated the water’s much bigger saltiness compared to our Black Sea, lying on my back in a relaxing position for a while. Afterwards, we found the closest supermarket on the map – a nice and relatively cheap one called Park Towers right in the neighbouring St. Julian’s neighbourhood (San Ġiljan in Maltese). We bought lots of delicious things to last us a few days, including an incredibly fascinating dessert called “treacle rings”… It has a very specific unrefined-sugar taste that gets some getting used to, but now, over a month later, I have to say I miss them. After a nice dinner on our haul, it was time for bed. We had to wake up early on the next day because it was time for the boat tour to Gozo and the Blue Lagoon! The boat tour company were even nice enough to organise a van which picked us up from the hotel. We were excited as we got on the boat and departed, but later on I became a bit uneasy – boat trips aren’t the kindest with me, since I have a bit of a motion sickness. I had to be careful and stay near the middle of the boat, and watch the horizon. 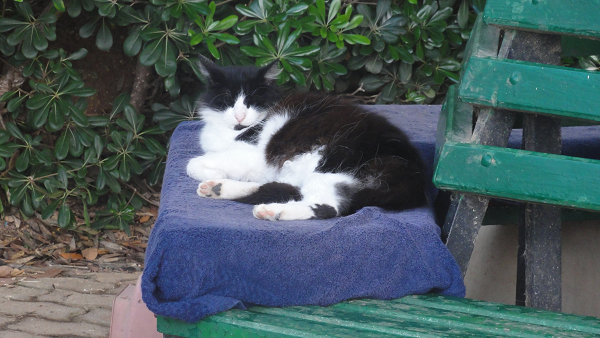 Fortunately, the uneasiness on the way to Gozo was all there was – on the way back, I had pretty much accustomed to the boat rocking back and forth. 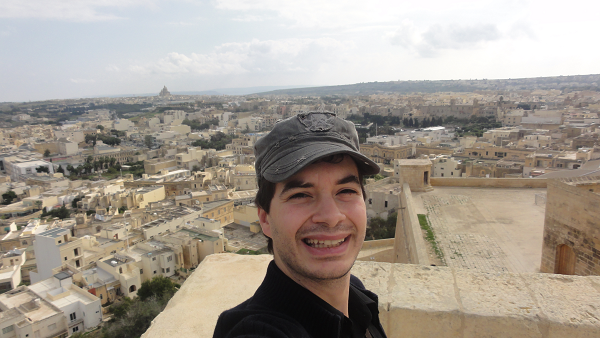 And, an hour or so later, there we were, on Gozo (Għawdex in Maltese), the smaller of the two big islands in Malta. A van would take us around the island, to the most interesting spots to be found. 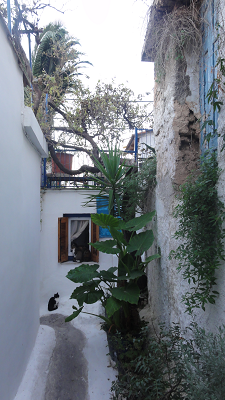 Soon enough, we were in Victoria (Ir-Rabat), the main city of the island. Already on the way, we had noticed the architectural differences between the main island and Gozo, but here, they were quite prominent. Houses and other buildings in Gozo tend to be much yellower, reminding people more of Arabian architecture than European. The van driver told us that Gozo was also a much nicer place than Malta, cheaper, with less traffic, less tourists, and thus generally quieter. 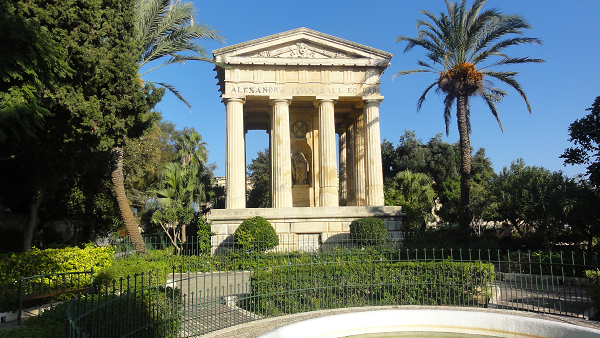 We had less than an hour to look around Ir-Rabat, and I left my wife and daughter who preferred to relax in a park, and went up towards the Citadella, perhaps the most famous tourist attraction of Gozo’s main city. It’s a fort, as the name suggests, and it also has some interesting churches. Sadly, the main one was closed due to repairs, but I could walk around, navigating the tiny streets of the fort, and stopping for a bit to enjoy the view from up high whenever I reached an outer limit. As I went back down and reunited with my wife, I decided to get an ice cream, discovering that the driver hadn’t lied at all about Gozo being cheaper than Malta – the same quantity of ice cream I got for 3 Euros in Malta was 1,70 here! And it was just as tasty, if not better. 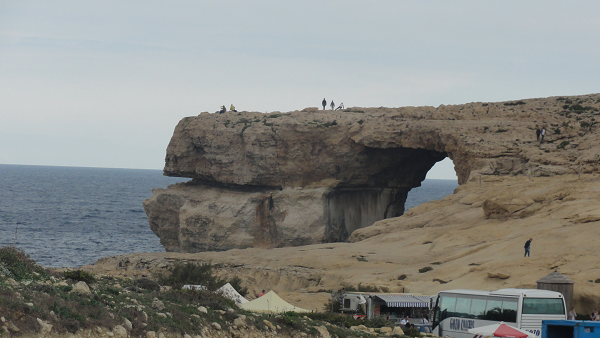 Next, we went to the Azure Window, a famous spot at the Western edge of Gozo where deep-water divers love to go… And some even meet their end because of the high danger. In fact, on our way there, we saw an ambulance speed ahead of us… There, we saw lots of tourists, including a Japanese group. Happy to practise a bit of my Japanese, I asked one of the ladies to take a picture of us three, which she nicely did. And then, it was time to head back to the port, where the boat was waiting. 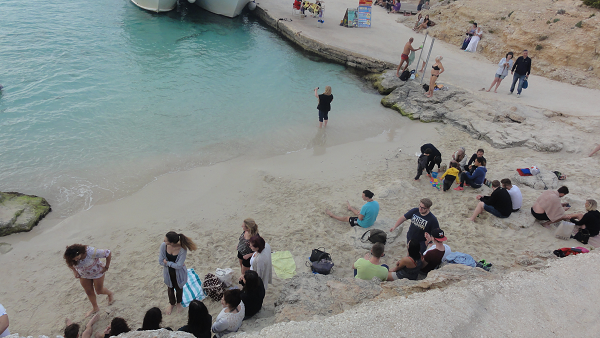 Before heading back to Sliema, we spent about an hour on the tiny Comino island (with a permanent population of 4 people), famous for its Blue Lagoon. Lots of tourists were already there, and the easily accessible beach was so small, it was already crowded… But I couldn’t simply have gone to the Blue Lagoon and not taken a dip in the sea, so we headed there and I went swimming, my wife and daughter waiting patiently outside. 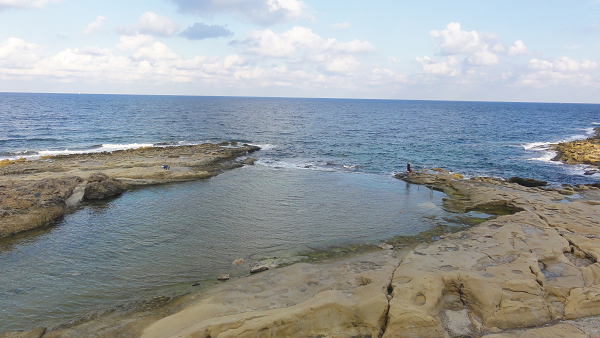 The place was small, sure, but still much nicer than the Sliema rocks. I enjoyed my swim and naturally practised my diving again. Soon, it was time to head back, and we were a bit surprised to find out we weren’t the only Bulgarians on the boat. As we reached the main island, it was already getting late, so we headed to the hotel room for dinner and relaxation. Next day was our last full day in Malta for the time being… And we had decided to spend it in a self-organised manner again. 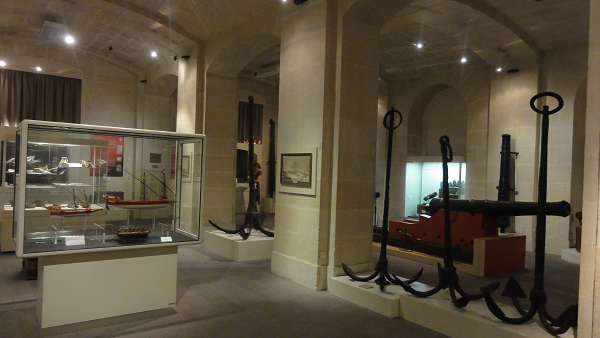 We still had to see the Maritime museum in Il-Birgu (called also Vittoriosa), which my best man had recommended, as well as Fort St. Angelo which is nearby. That was our first destination. 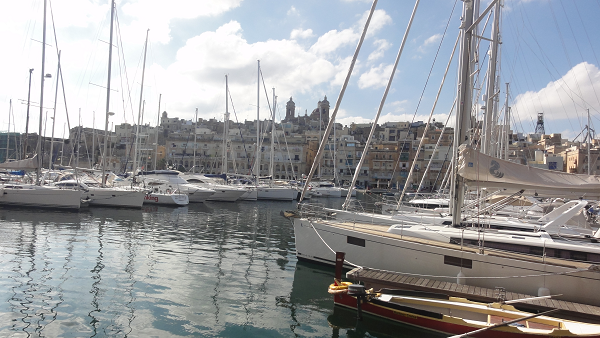 Then, we would take the “Malta harbours” boat tour which was a free bonus included in the previous day’s tour’s package. 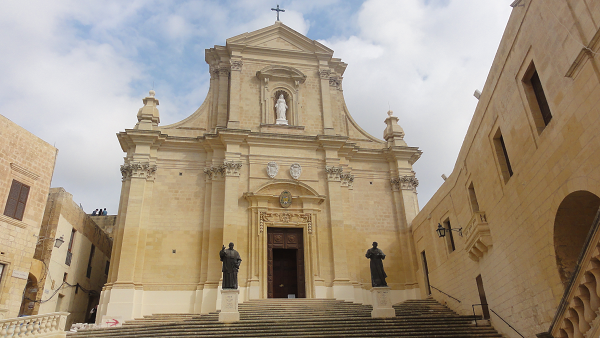 Later, I had hoped to be able to see Mdina or the big national aquarium in San Pawl il-Baħar… Neither came to be at the end. Anyway, we caught the bus that way in the morning, and we of course had to change at the major Valletta bus station. Since we had 45 minutes until the Birgu-headed bus when we arrived, we decided to start the souvenir shopping in the area near the entrance of Valletta. We bought some nice postcards for friends and family. Half an hour on the bus later, we were in Il-Birgu, and walked towards the Maritime museum, the phone app doing an excellent job helping us make our way from the bus stop to the museum itself. There were lots of interesting things inside, including gigantic machinery powering ships a century ago, and lots of British naval military history. I wouldn’t say it was a place nearly as amazing as the Palace Armoury from a couple of days earlier, but then I’m not into ships nearly as much as into medieval warfare. 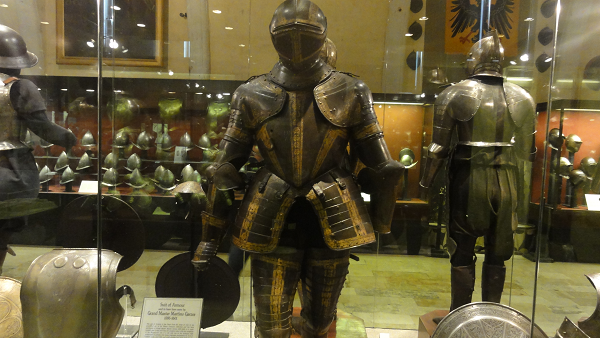 But the museum fee was much lower than the Palace Armoury’s, just 5 Euros, so it was worth the money. Little Maya also had some fun – the museum was quite empty and we let her crawl a bit on the ground, while we were looking at some interesting ship models. 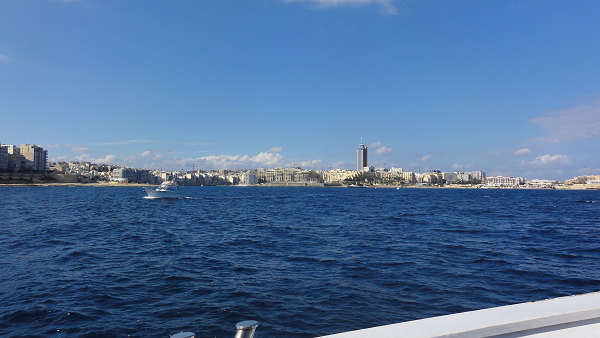 Back in Sliema, we headed towards the boat harbour again, where we started the Malta harbour tour. 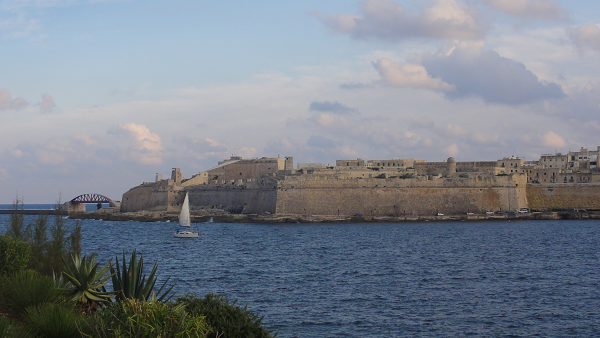 We were taken through the most notable harbours of the main island, particularly the area encircling Valletta, Sliema, and Birgu. A narrator explained about the rich history of these harbours, and we learned interesting stories about the Order of St. John, the World Wars, and the like. 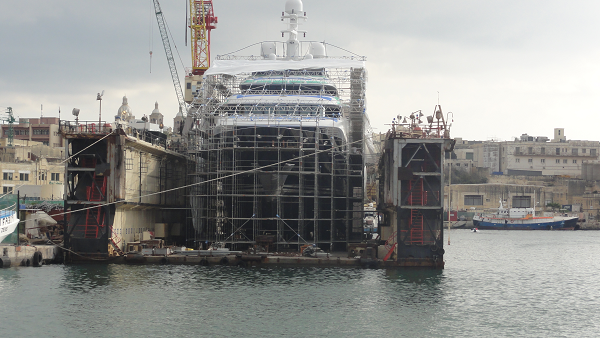 We even saw a huge ship in the process of being built. 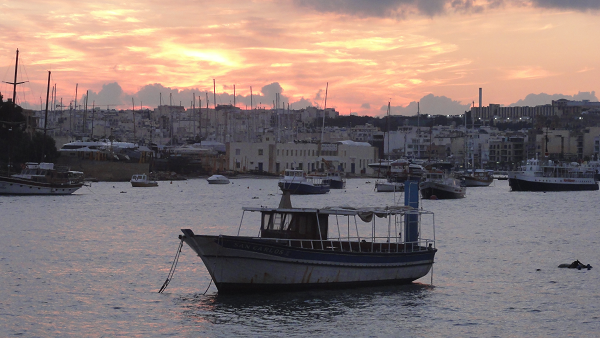 When we came back to Sliema, we did souvenir shopping again, and, realising it was almost late afternoon, I had to admit to myself we weren’t making it to Mdina or the aquarium this time. Instead, we rushed back to the hotel and the beach rocks outside… Barely making it before the sun was down, I swam and dove for the last time in 2015, and in my enthusiasm I scratched my foot on a pointy underwater rock, and bloodied it. Gotta be careful with Maltese bays! It was evening, and we did our last part of souvenir shopping, heading to the supermarket to get some Maltese treats for family and friends. Treacle rings were of course once again bought, as well as some nice Maltese nougat. Our only trip outside Bulgaria in 2015 was a blast… Travelling with a child proved to be not only possible, but very enjoyable, especially when you have such a wonderful, caring wife by your side. 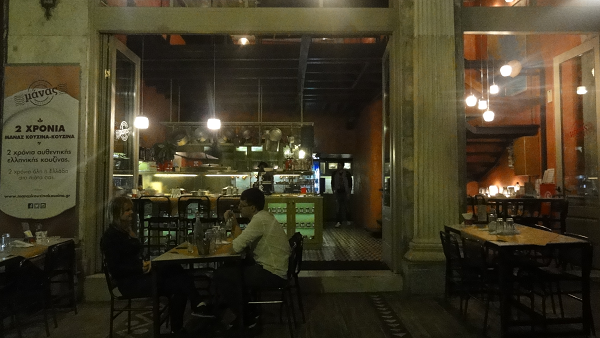 Sure, a single afternoon in Athens is far from enough to make conclusions about the city other than the overall feel of a lack of identity that lots of big tourist destinations suffer from. But the several days spent in Malta were well worth it and, to be honest, despite the deceivingly small size of the country, I regretted that we couldn’t have stayed for 2-3 more days in which we could’ve seen at least Mdina and the aquarium, and maybe spend a full day on Gozo. Malta is a beautiful country with wonderful climate (over 15 degrees in November is great for Europe), rich history and a strong cultural and national identity despite having been ruled by several foreign powers in the years past. Malta offers many things to tourists, making it ideal for people like me who don’t travel that often and would thus like to do more than just lie on the beach during a vacation. Sure, the traffic on the main island is a bit overwhelming, but you have Gozo an hour away if you need a quieter place. 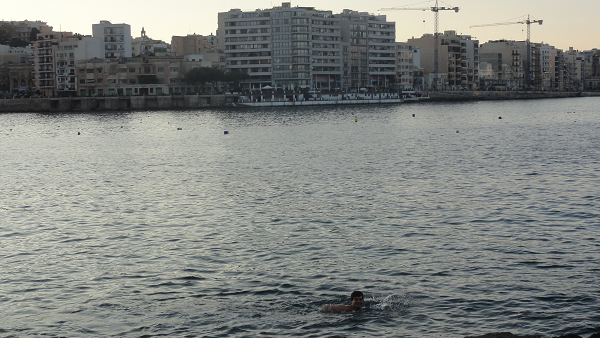 I would say that even a walk along the smaller streets in the middle of Sliema is enough to restore your tranquility. Malta may be on the edge of Europe, but close enough with an airplane. The prices are regular for the EU, that is, a bit steep for Bulgarians, but nothing unbearable, especially if you take the budget option of usually getting your food at the supermarket. Malta is representative of South European culture, with a sprinkle of Middle Eastern language and architecture… The language is perhaps the most fascinating aspect of Malta – it really resembles Arabic, but is influenced by Italian and English, too. 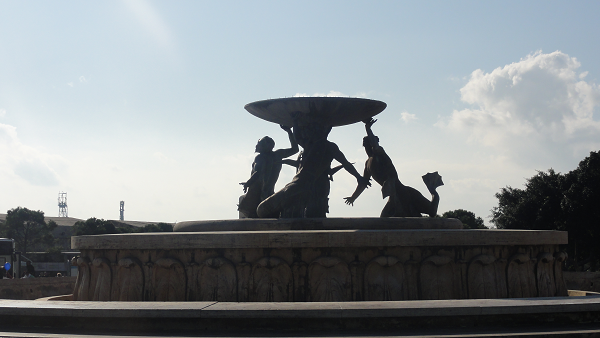 In a nutshell, Malta is well worth visiting. I recommend setting a week aside – 4-5 days are just not enough, as we found out. I imagine the summer season is a bit too hot, so I wouldn’t recommend it unless your main intention is beach time and swimming. But it’s surprisingly warm in the off-season, and that is a chance that must be taken. There’s the risk of some of the best sights being closed for repairs, but there will certainly be enough to see regardless.